What, you didn't have enough ammo to dislike ESPN beforehand? You weren't tired of all the Tebow talk? Well, then ESPN's in-house Front Row blog has some good news for you! Reporter Josina Anderson live from Broncos facility. Jerry Rice breakdown on Tebow's development as a passer. 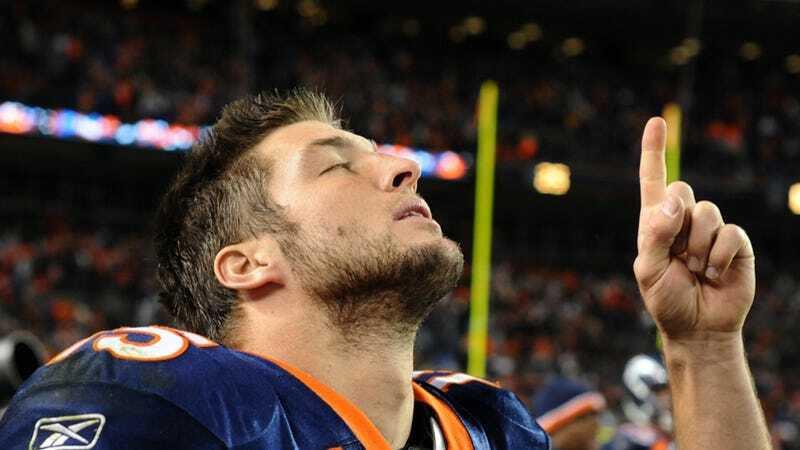 Steve Young on Tebow's future and how the Broncos should handle Tebow. Potential touchscreen segment either picking Broncos remaining schedule or picking pro bowl QBs. If you don't have a death wish, Versus is showing Bill Dance Outdoors and Fishing with Roland Martin from 2-3 p.m.